Mulching is an important soil management practice of covering the soil surface around the base of plants and saplings to make conditions more favorable for growing and to conserve the available soil moisture. Mulch is a layer of material applied to the surface of an area of soil. Main objective of mulching is to conserve soil moisture and to control the weed growth. The other well-known effects of mulching are regulation of soil temperature, improvement of soil aeration, control of weed population, increase in organic matter content (organic mulch) and also increase the activity of soil micro-organisms. The use of mulch material depends on its availability and mostly in nature. Mulching facilitates the retention of soil moisture and helps in controlling of temperature fluctuations, improves physical, chemical and biological properties of soil, as it adds nutrients to the soil and ultimately enhances the growth of plants and saplings. 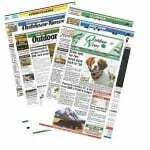 Organic Mulch – What is it? Organic mulch includes once-living products such as bark, wood chips, straw, grass clippings, and other natural products that will decompose. These natural types of mulch improve soil quality and contain high amounts of nutrients. 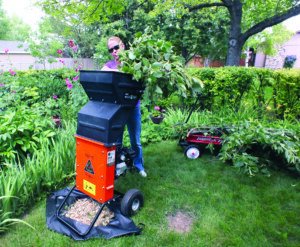 Those “downed” tree limbs or pesky shrubs can become organic mulch with the use of a wood chipper or a chipper/shredder. Mulching keeps the soil cool in day and warm at night hours. Reduces surface run-off and prevents the soil erosion. Mulching protects the seeds in nursery stage from predators (birds). A layer of mulch will lessen the impact and run-off of raindrops. Allows the absorption of more rain water and reduces “watering” frequency. As organic surface mulch decomposes and adds the humus content into the soil, it works down into the soil to increase air space, moisture retention and nutrient holding capacity. Reduces soil temperature, thus allowing plants/saplings to grow better during the heat of the summer. This provides a soil environment conducive to good root growth. 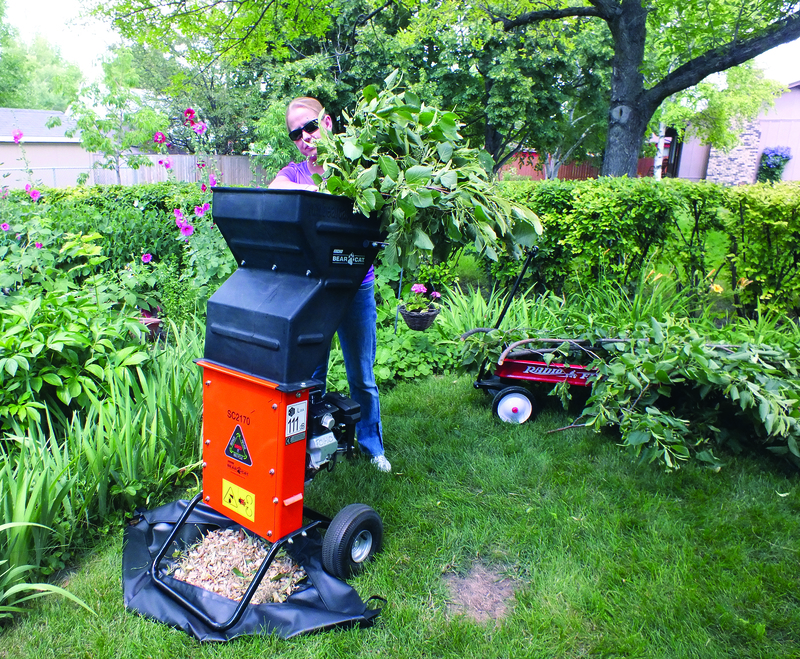 Weed Management: Mulching can reduce weed competition against plants and saplings. Covering the soil surface with suitable mulch can reduce weed seed germination. Soil nutrition: As organic mulches decompose under appropriate water and temperature levels, nutrients are released into the soil and become available for root uptake or microbial use. Soil water retention: Installation of mulch reduces evaporation and increases soil water retention. Similarly, the presence of a ground cover improves water retention. Soil borne diseases: Mulching prevents the contact between plants and soil, thus reducing the risk of disease. 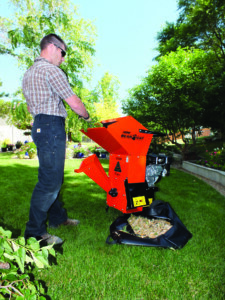 Mulching aids in disease prevention by reducing direct contact between soil and the above-ground portions of the plant. Soil cracking: Mulching also prevents the soil from cracking and aids in soil infiltration by water and rapid root development. Reduce run-off and soil erosion: Soils from a dry region are highly susceptible to water erosion and wind erosion because rainfall occurrence is frequent during intense storms. Enhanced root establishment and transplant survival: Numerous studies have demonstrated that improved water retention and reduced weed growth are correlated with increased root growth and exploration by desirable plants. Organic mulching is better for plant and sapling growth by maintaining soil moisture, temperature, soil nutrients, protects from weed, insect, disease and other climatic factors. Buying or creating your own organic mulch is doable and accessible. Therefore, it can be adopted by the everyday home, cabin or landowner. To learn more visit the Bear Cat products website, or check us out on social media.